Hickory Energy Services provides industry-leading certified welding and on-site welding services. All welding is performed using only certified, capable and competent welders. All welds are X-rayed using industry-leading technology. 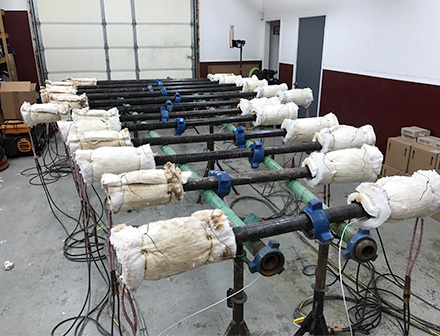 We are proud to offer our clients the ability to heat treat all welds in-house at Hickory Energy Services. This allows us to closely monitor the process resulting in parts being available in a timely manner and providing our client with only quality finished products. 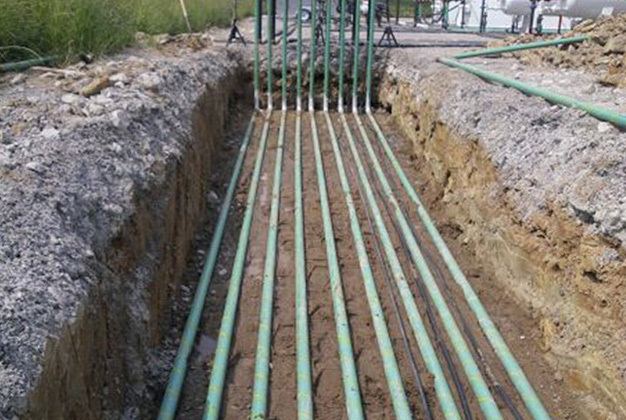 At Hickory Energy Services, we take the task of pressure testing all lines very seriously. The safety of the community, workers, and our client demand that only the safest lines are turned over upon completion. 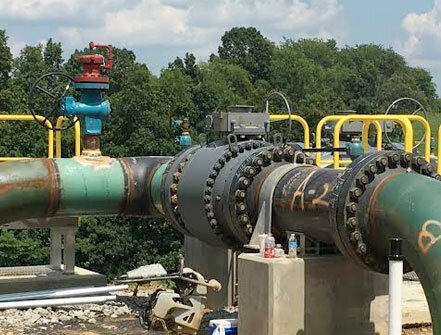 Our team has the experience and knowledge to provide pressure testing services with confidence. 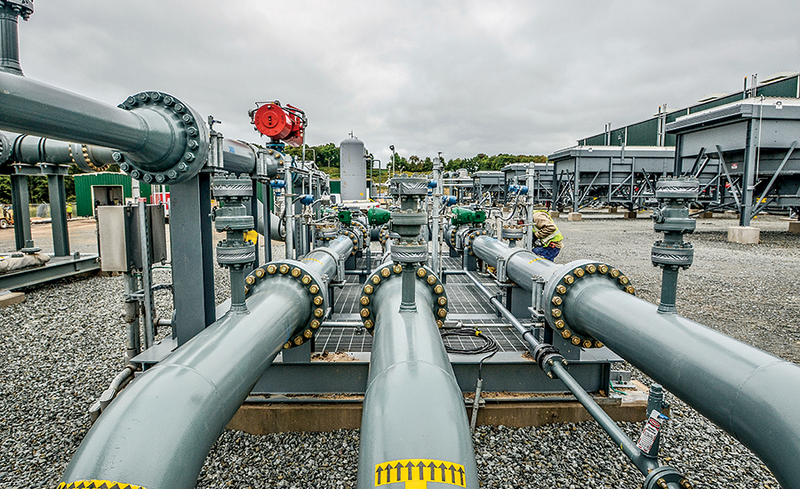 Ensuring safe and reliable services, Hickory Energy Services offers quality well hookup and commissioning for your pipeline needs. Our team helps reduce connection time to ensure we get you up and running as quickly, and safely, as possible. 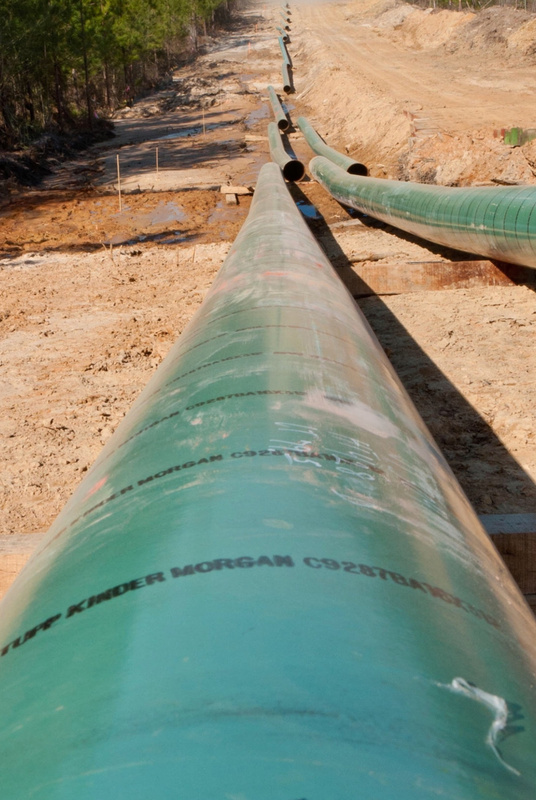 Hickory Energy Services is your one call solution for all of your pipeline servicing needs. Our team of experienced, certified welders can help complete your project. We are committed to delivering the highest quality projects and services to all of our clients. 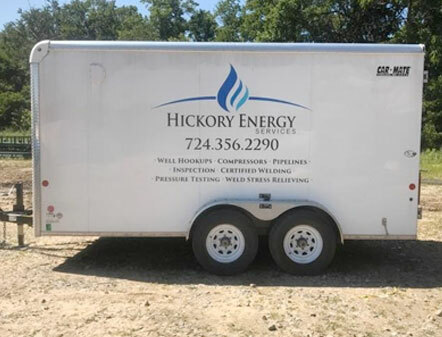 One of the backbones of our company, the Hickory Energy Services team is seasoned in building and servicing compressors throughout the Marcellus Shale and Utica Shale plays. 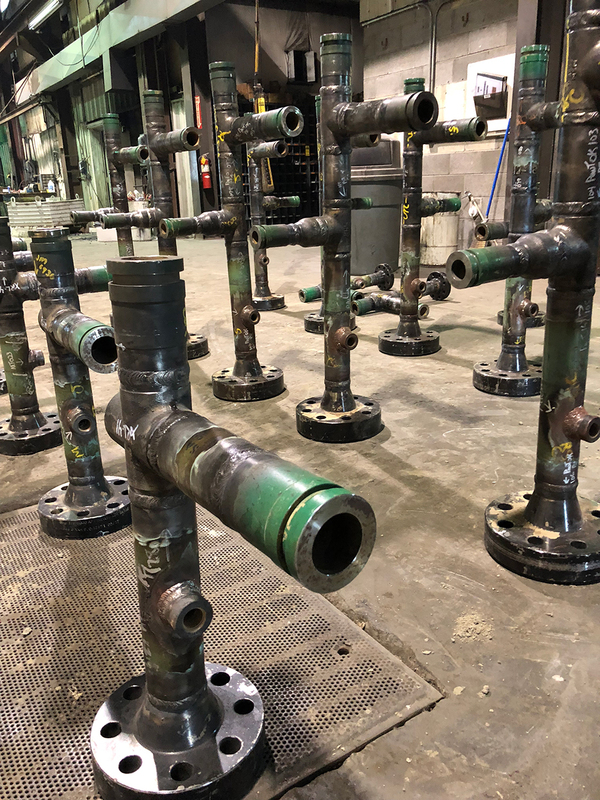 From on-site fabrication to maintenance, our team has the experience and skillset to get the job done safely and efficiently.